This Photo was taken in Made Feld in Bedwell. 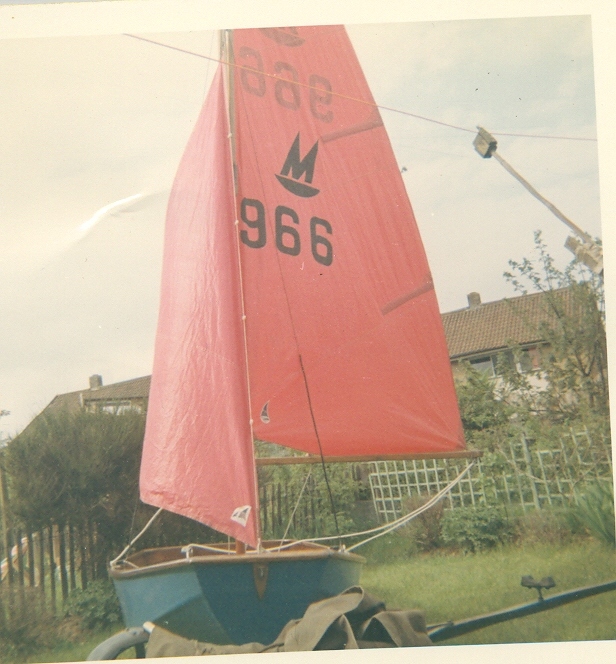 My parents Alec and Maria Ward decided to buy a washing machine around 1962 and somehow arrived back with a sailing dinghy kit. It was squeezed through the back gate and assembled in the garden. My parents then joined the North Herts sailing club at the Blue Lagoon in Arlesey. I wonder if there are any other sailing club members around who can remember my parents. My mother to this day cannot remember when we bought the washing machine. Happy Days.